What would you pay to have skin like Christie Brinkley? A million dollars? 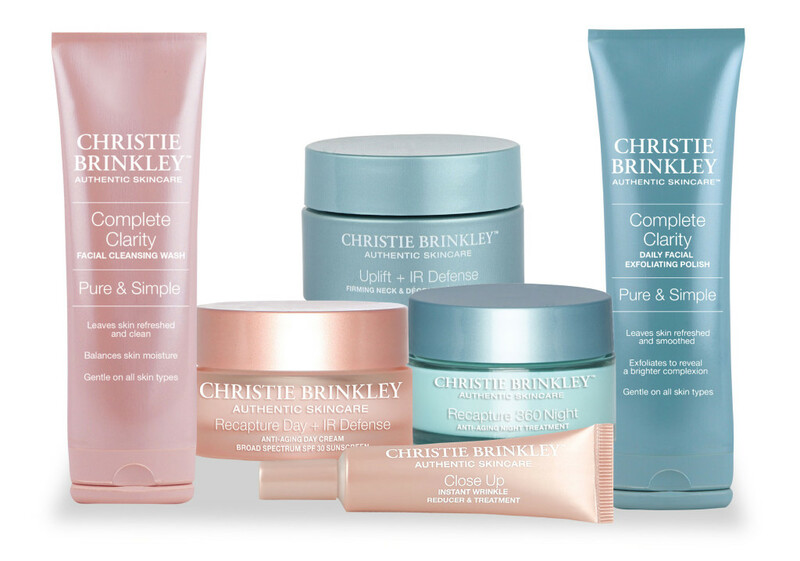 Well, believe it or not you can tap into Christie’s beauty secret now with her very own skin care line. I have been testing out her Close Up Instant Wrinkle Reducer and Treatment product for the last two months. This treatment cream is supposed to instantly reduce the look of fine lines and wrinkles. It’s sole purpose is to target those age lines around the eyes, forehead and mouth. If you have been reading and following my blog, you know that I am always very skeptical when a celebrity comes out with a skin care, cosmetic or hair care line. Just because they are high profile doesn’t mean their product will preform. So what’s different about this anti aging eye cream from all the others on the market? Let’s start with the ingredients. This targeted anti-aging wrinkle reducer is copper based with a key anti aging ingredient called Neodermyl, a new source of energy to recharge the skin. Application: After moisturizing apply with circular motion into targeted areas. Press and set. Allow formula to dry in two minutes. When applying makeup over the formula, wait until formula is fully dry. To evenly apply foundation, smooth, press and set foundation on to the skin. When testing out this product around my eyes, I did feel the immediate sensation of tighter skin, it wasn’t so much smoother just tighter. I didn’t find that it smoothed any under-eye bags and puffiness. I did notice that it left a white residue around my eyes that needed to be washed off before I applied my foundation. I would expect from a former supermodel the packaging to be ultra luxe. Instead for $79.95 (.33 oz) it comes in a generic plastic tube. It has a very light scent and quickly absorbs into the skin. I do like the cooling effect that I feel after I apply the treatment but I found it to not be long lasting and a bit drying. If you have always wanted to try a celebrity product, I find this instant wrinkle treatment to be a bit pricey and disappointing in results. 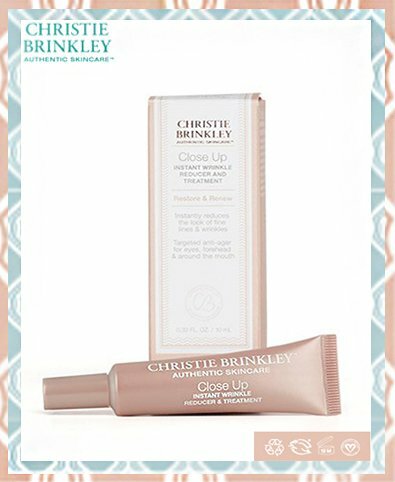 I hope this Christie Brinkley Close Up Wrinkle Reducer Review helps you decide.